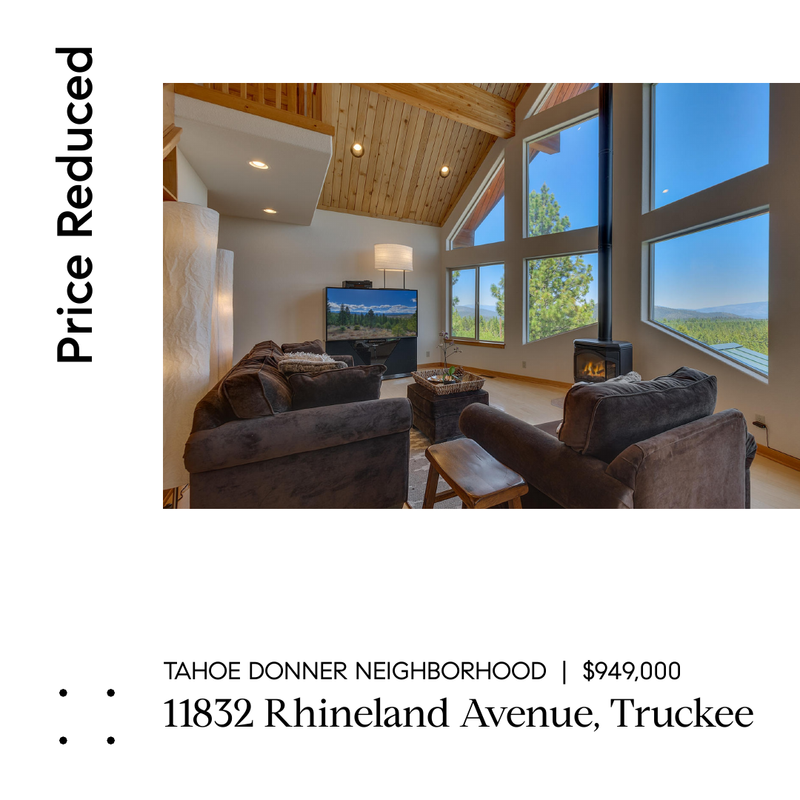 Welcome to 11832 Rhineland Avenue in Truckee! This amazing custom home features 5 bedrooms, 2 bonus rooms, 3.5 baths, and a 2-car garage. With the master suite on the third floor, it offers privacy and the convenience of comfort with a gas fireplace. For your viewing pleasure, sit down and enjoy family time in your very own movie theater with classic theater lights and sound system. Dramatic and endless views of Mt. Rose, Carson Range, Northstar and Stampede can be seen from this 3-story home. Plenty of room for guests and entertaining in the bright and inviting kitchen, dining area with deck access, and spacious living room with large picturesque windows and beautiful hardwood floors. Continue to the large backyard deck for a summer barbecue.Access to Tahoe Donner amenities, pool, nearby hiking trails and skiing.